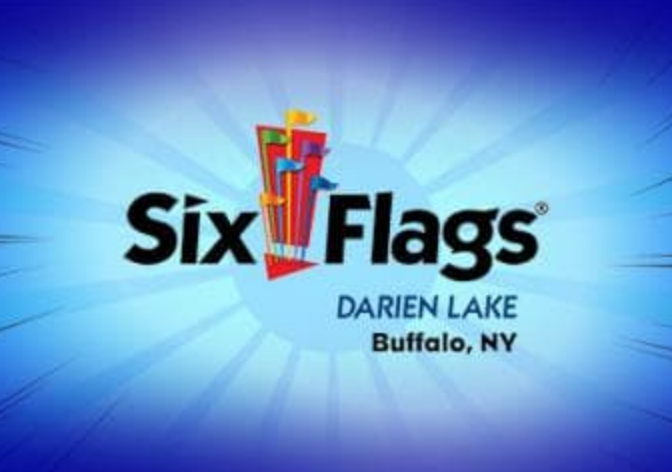 It's a case of deja vu for Darien Lake, as the park has announced that they will once again be known as Six Flags Darien Lake starting in 2019. The park was brought back into the Six Flags family earlier this year when the company purchased the operating lease to the park. 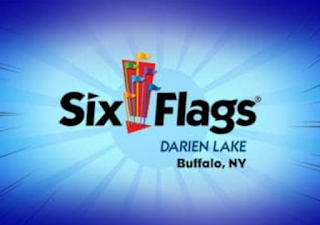 The amusement park added the Six Flags name in 1999, when the company was under totally different ownership. That lasted until the park was sold once more in 2007, and the Six Flags name and all theming associated with their licensed brands was stripped from the park. 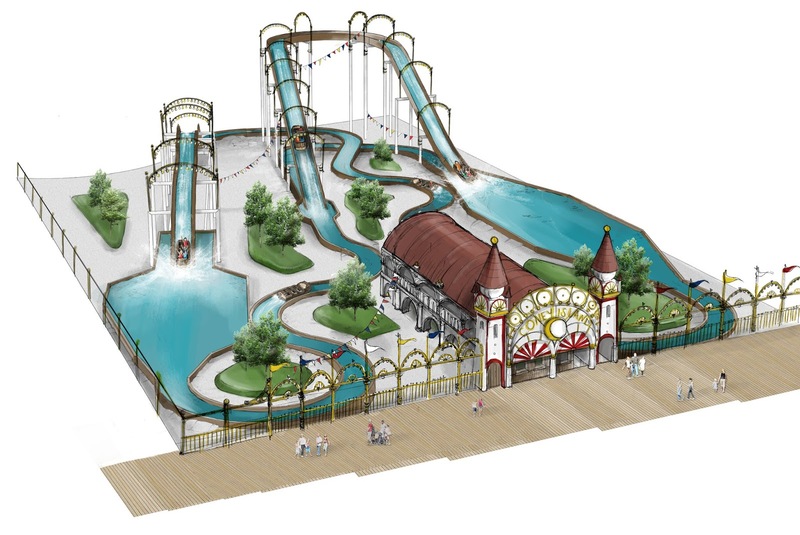 Several different owners and operators have been in control of the park since, bringing different additions with a major expansion to the Splashtown water park as one of the largest. This year the park opened Tantrum, a new compact Gerstlauer Euro-Fighter coaster - the park's first new roller coaster in a decade. 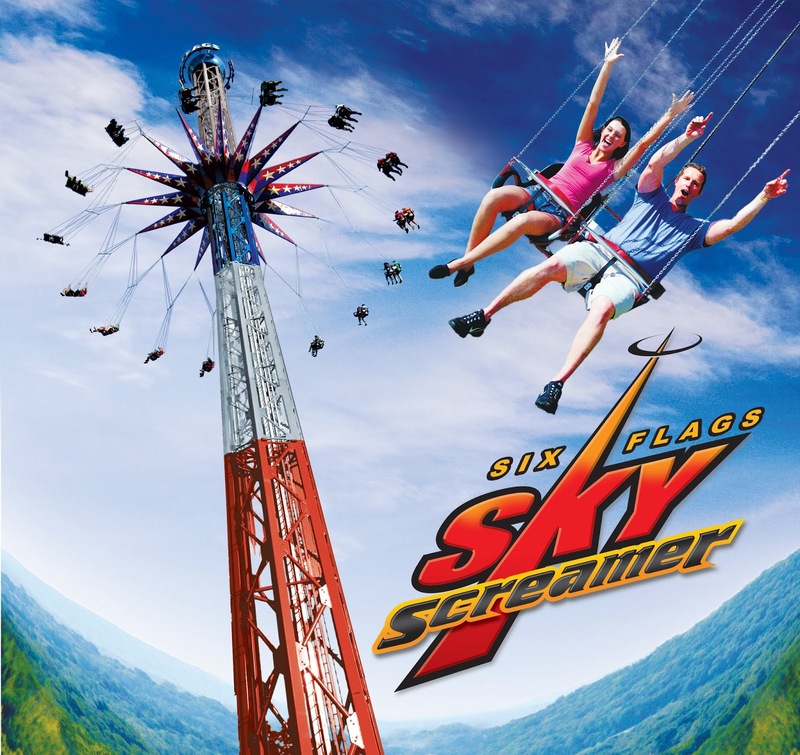 With Six Flags Entertainment back in charge, the park has announced a new thrill ride for 2019, the Six Flags SkyScreamer. One of the popular tower swing rides that have gone up at many parks, it will be the state's "tallest attraction" at 242 feet. Riders will be seated in one of 16 two-passenger chairs that are attached to the tower and start their ascent. The chairs will swing around in a 98-foot circle at a maximum speed of 35 miles per hour once they get up to the top giving an unparalleled view of the land surrounding the park. No other changes for the park, such as possibly bringing back ride names and themes from the first round of Six Flags ownership, have been announced yet. Stay tuned for more on changes at the park. After Six Flags America announced the upcoming retirement of Apocalypse: The Last Stand (closing on September 8th), many began to wonder if the ride would be totally removed or if it would get a new lease on life via floorless trains. 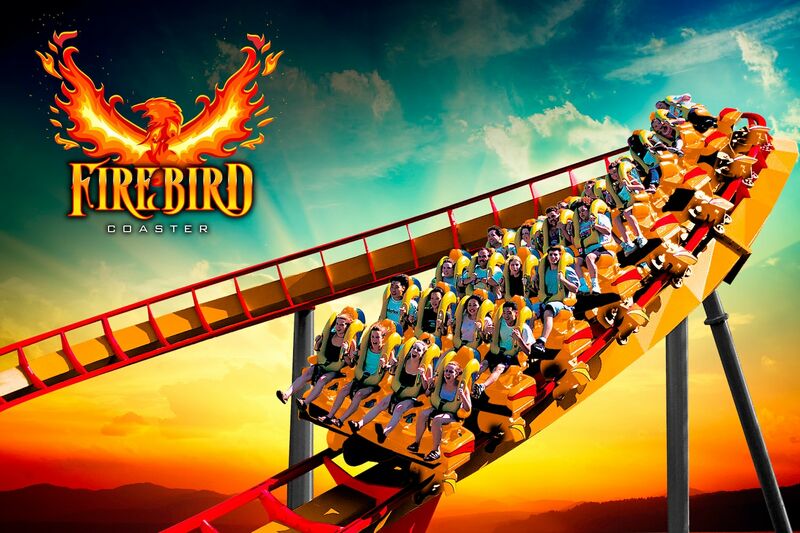 Today the park confirmed the latter, as the ride will open again next year as Firebird. Offering a much more comfortable riding experience than as a stand-up coaster, Firebird will also receive a new paint job of what looks like black supports with a two-tone track of red and yellow. The park released these drawings of the new trains, which will of course be manufactured by Bolliger & Mabillard, the original builders of the roller coaster. 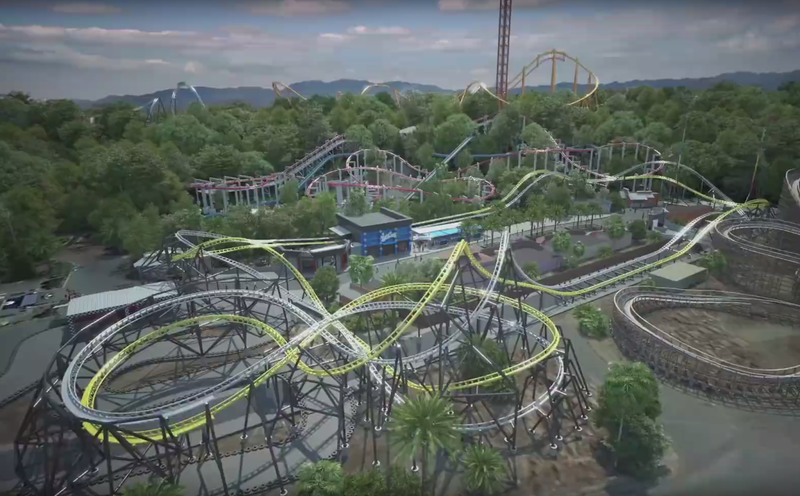 They will continue the color scheme seen in the concept art for the track and supports, adding orange into the mix as well. The new trains will take on the ride's 90 foot drop and two inversions, along with several twists and the figure-eight finale. 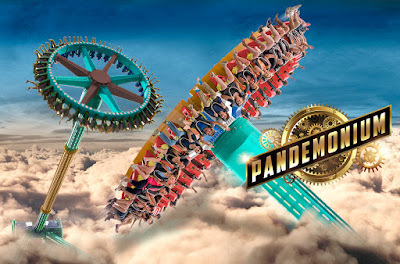 Those who still wish to ride Apocalypse have until September 8th to do so. 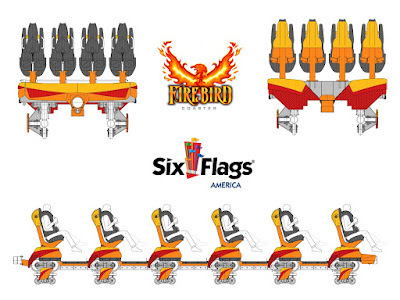 Six Flags America plans to open Firebird in the spring of 2019. 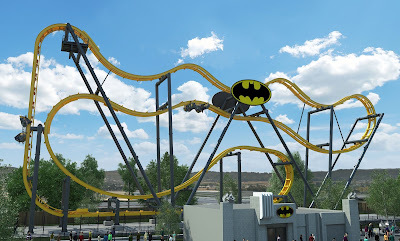 Swooping in to save the day at Six Flags Discovery Kingdom in 2019 is Batman: The Ride, billed as Northern California's first 4-D Free Fly Coaster. The same model as has been installed at various Six Flags parks over the past few years, Batman: The Ride will be manufactured by S&S Worldwide and stand 120 feet tall with three layers of track. The coaster features individual cars that will flip at least six times during the ride, using seats that rotate independently depending on onboard magnetic technology. The trains will head up a vertical lift hill to 120 feet in the air, then start their journey along the many curves and "raven drops" built into the layout. Passengers will have their legs dangling with nothing above or below them during the ride. Batman: The Ride will be located next to the Harley Quinn Crazy Coaster on the former location of the park's go-karts. It will be a tall presence along the border of the park, drawing attention from those arriving for their day of fun. These concept drawings show an elaborate indoor queue and even what looks like a small area for possibly a Batmobile display. 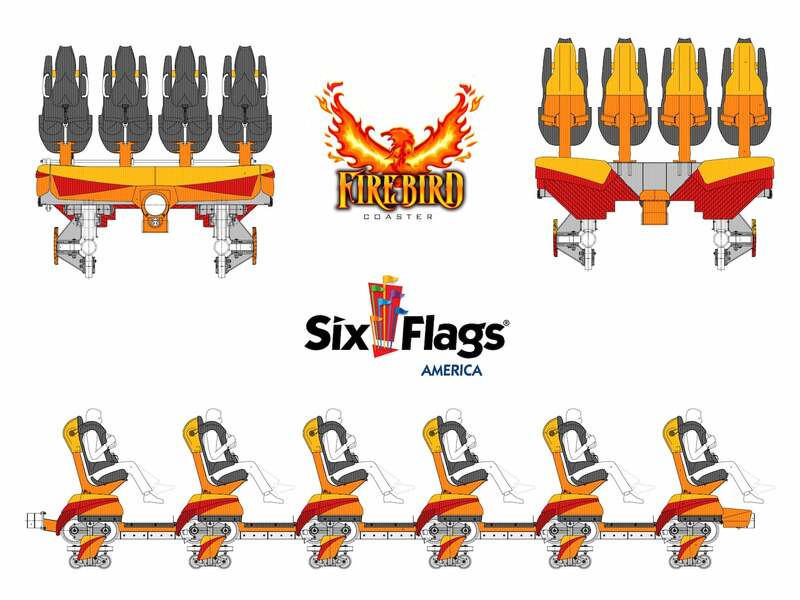 Among today's many Six Flags announcements is a trio of giant pendulum rides for three parks in the chain, but they're coming with other changes, too. Let's dive in. 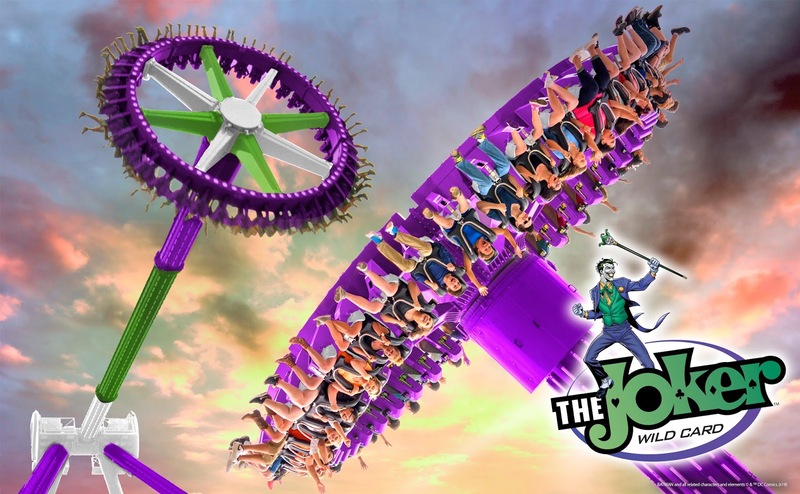 Six Flags Fiesta Texas has announced The Joker Wild Card, which will be one of the largest pendulum rides in the world when it opens. The ride will swing to heights of 172 feet in the air, which matches the statistic given when CraZanity opened at Six Flags Magic Mountain last year. The circle of seats at the base of the pendulum will hold 40 riders at a time. The Joker Wild Card will hit a maximum speed of 75 miles per hour, which will make it the fastest ride at the theme park. It will be the centerpiece of a newly themed DC Universe area, which will include other existing rides along with "enhanced attractions, dining games and shopping." From the concept art, it appears as though the park will be removing its Top Spin ride, along with a couple games to make room for The Joker Wild Card. 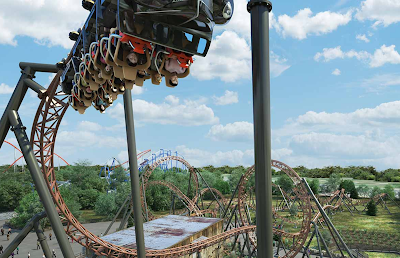 Six Flags Fiesta Texas has also revealed that they will now operate year-round, adding weekends and holiday to its existing schedule in January and February. Here is an animation that Six Flags Fiesta Texas released for the new attraction, better showing off where it and the new DC Universe section of the park will be located. 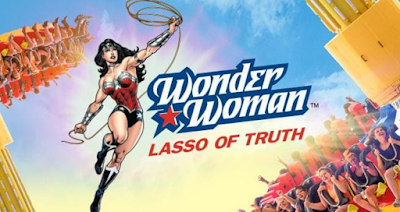 New Jersey's Six Flags Great Adventure will also be building a 172 foot tall pendulum ride, named Wonder Woman Lasso of Truth. Similar to the other rides, it will hold 40 passengers at a time and hit 75 miles per hour, faster than many of the park's roller coasters. Wonder Woman Lasso of Truth will be built as a part of the Metropolis themed area, positioned on the land that once was home to the Stuntman's Freefall ride. 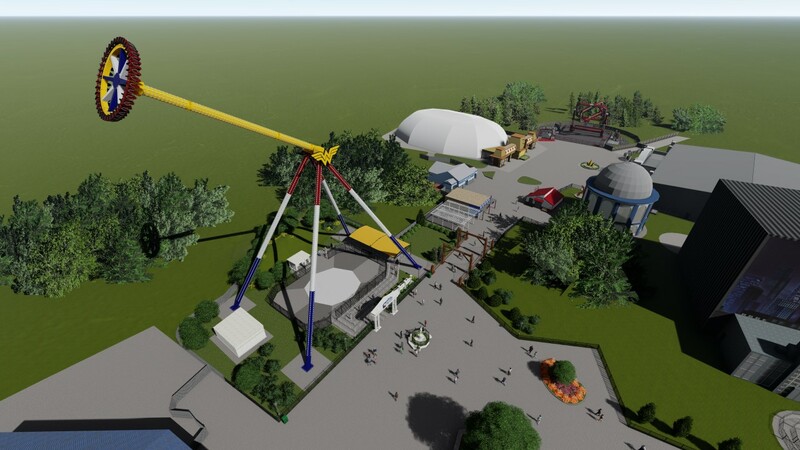 The pendulum will feature bright yellow, red, white and blue colors that are sure to stand out at 172 feet above the ground! The ride will feature a new Wonder Woman statue near the entrance, and a decorative arch that marks the entrance to the queue. 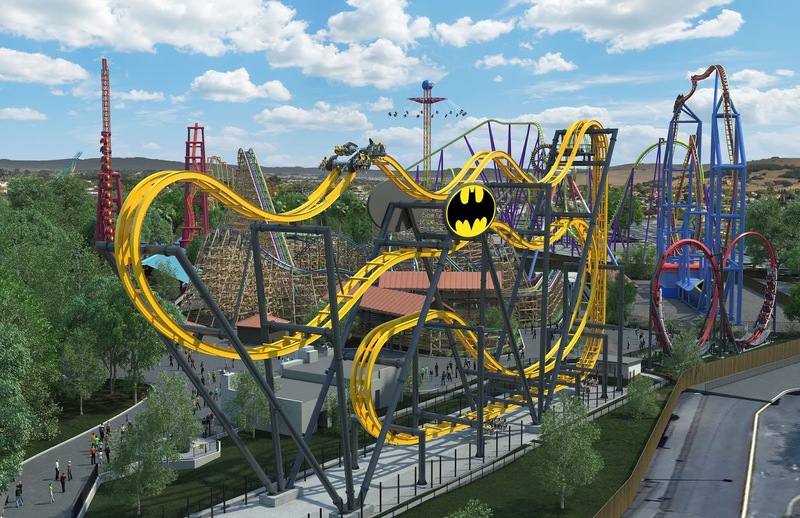 It will join many other popular DC themed rides in Metropolis such as Batman: The Ride, Cyborg Cyber Spin, Justice League: Battle for Metropolis and the Dark Knight Coaster. 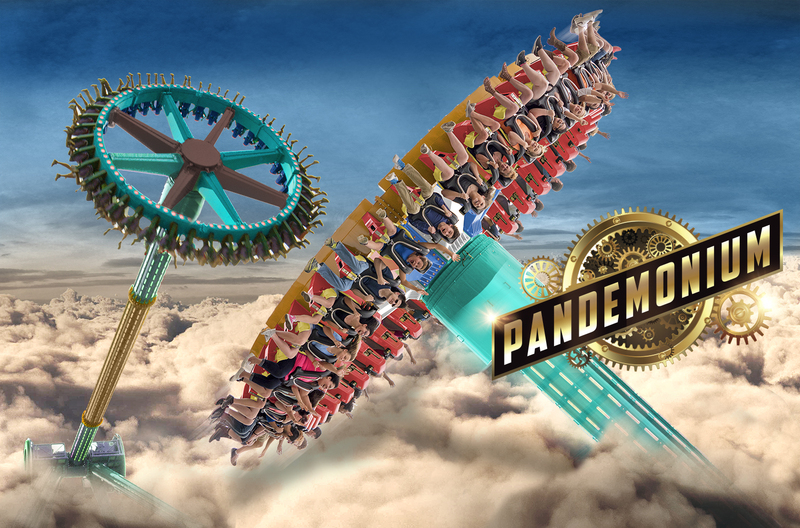 Finally, our third new pendulum ride will be Pandemonium at Six Flags Over Georgia. The new ride is a slightly smaller version than the first two, standing 147 feet tall and hitting a maximum speed of 70 miles per hour but still holding 40 passengers per cycle. 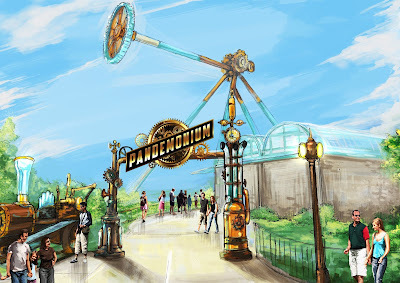 Pandemonium will be a part of a "new ScreamPunk-themed area, featuring revamped food locations and shopping experiences in 2019." The area is a "Six Flags twist on the popular Steampunk subgenre, combining science fantasy with 19th century industrial steam-powered machinery." From the above concept art, it looks like the ride will be located in what was formerly the Whistlestop Park area. The new land will open in March of 2019, with Pandemonium opening later in the spring. 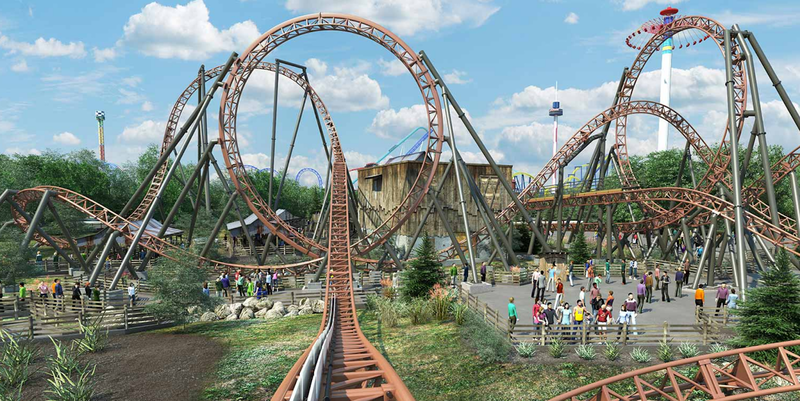 An announcement we've all been waiting for, today Carowinds revealed that Copperhead Strike will debut at the park in 2019. The coaster is a custom-designed double LSM launch ride created by Mack Rides, and is the centerpiece of a totally new 7-acre themed area called Blue Ridge Junction. We've been following the park's clues about Granny's big secret for weeks now, and today the storyline all makes sense. Visitors will be sneaking onto Granny's farm to get the recipe for her award-winning jam, only to discover that she's brewing much more than that in big copper vats. Once she discovers the intruders the only means of escape is to blast off the farm in one of three trains themed as 1930s coupes. But watch out, as there are a ton of Copperhead snakes lurking about on your escape path. The ride's appearance will match the elaborate story line, with all buildings on the farm themed appropriately and what even appears to be a field of corn to be planted. 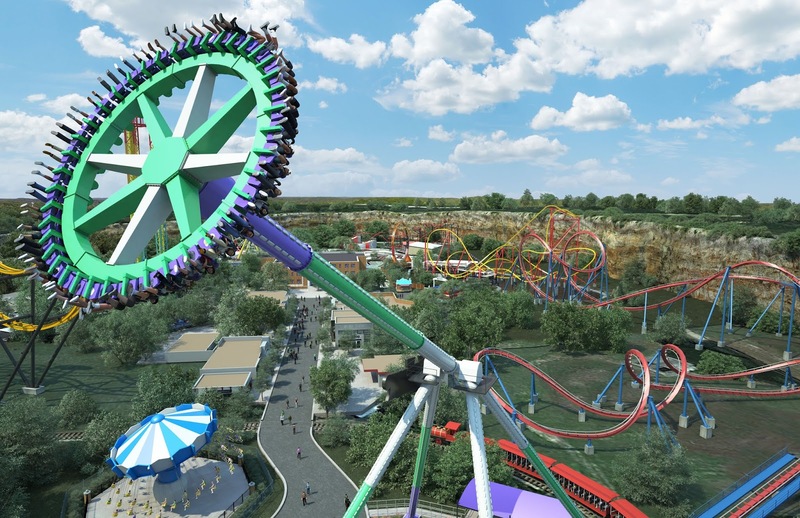 The coaster features two launches, the first takes the 16-passenger trains from zero to 42 miles per hour in 2.5 seconds, and the second located mid-ride will go from 35 miles per hour to 50 miles per hour in 2 seconds. 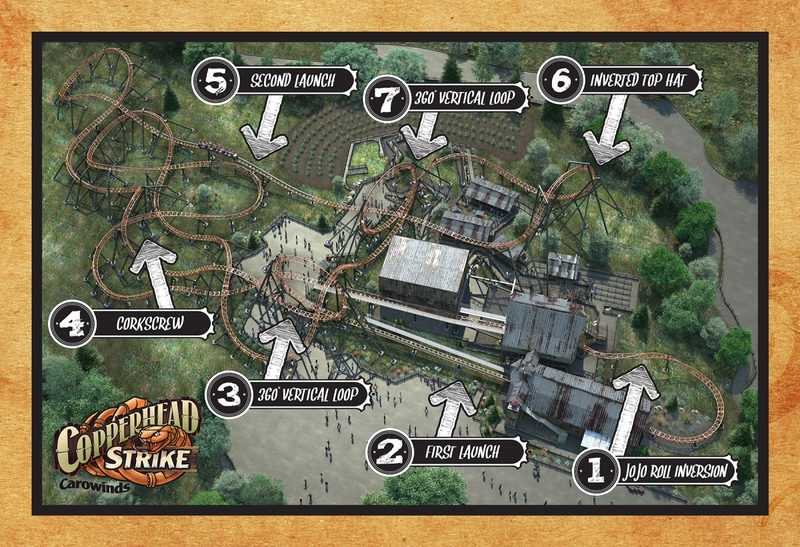 This diagram shows all the different elements of Copperhead Strike over its 3,255 feet of track. The coaster will start out with a jo-jo roll, which is a heartline roll taken at a slow speed right from the station. This element first appeared on Hydra at Dorney Park. There is a vertical loop and corkscrew right after the first launch, and after the second launch (which takes place over an air-time hill!) an inverted top hat and another vertical loop - a total of 5 inversions in all. In between those elements are a ton of low-to-the-ground turns and overbanks. 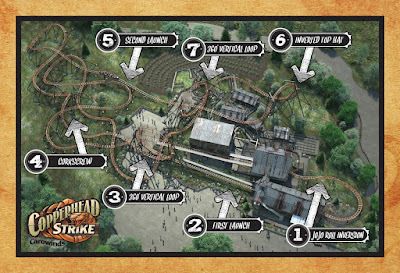 The new Blue Ridge Junction area will not only contain Copperhead Strike, but also a brand new restaurant, Blue Ridge Country Kitchen. Formerly known as Wings restaurant, the new location will feature an all new theme, menu and additional air-conditioned seating. The menu will feature "delicious rotisserie chicken and other farm-fresh goodness inspired by the mountains of the Carolinas." On top of these changes, Carowinds is also pleased to be opening their first hotel, the SpringHill Suites by Mariott toward the end of next year, and are also building a new dormitory to house student employees. 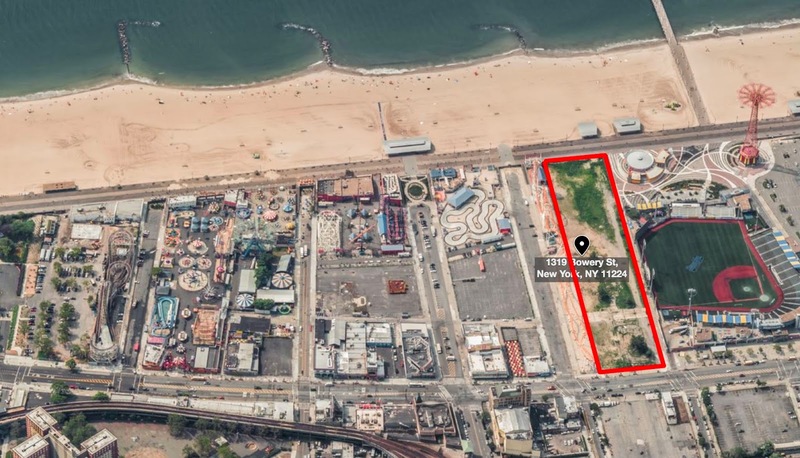 In all, 2019 will be the largest capital expansion since the park initially opened. 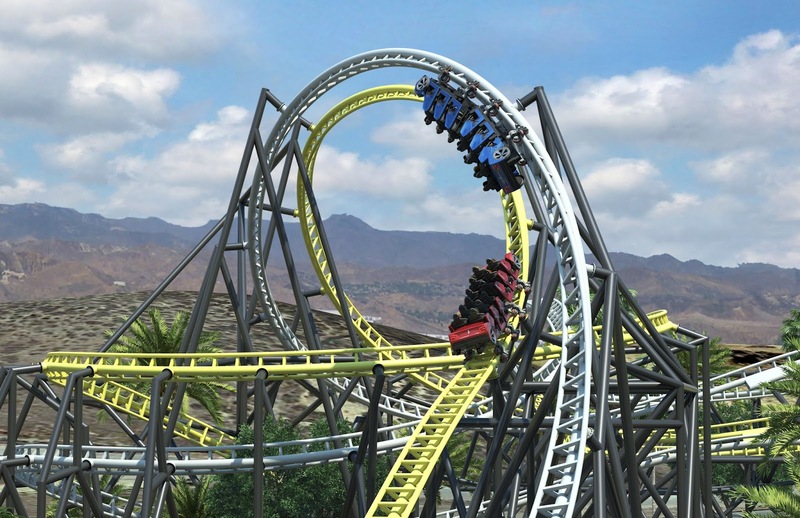 A brand new mobius roller coaster is opening at Six Flags Magic Mountain next year, named West Coast Racers. 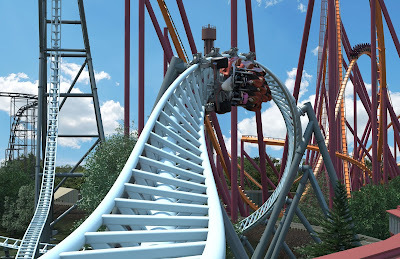 The unique racing roller coaster will feature trains that travel through both sides of the track, encountering four separate launches from start to finish. 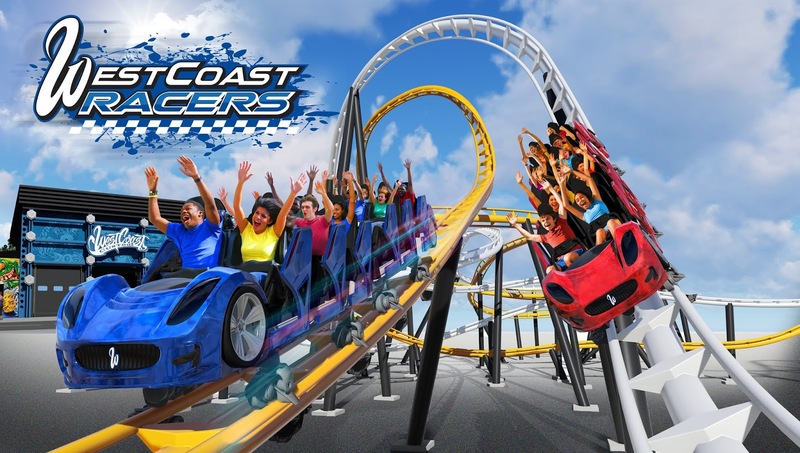 The ride will feature a boarding area that is mean to mimic the shop of the famous West Coast Customs crew, and they will also design the trains, which each seat 12 riders. As a mobius ride, the train will leave the station and complete the first side of the track, then enter the station again to get ready to launch with the next train. During that time will be a "pit stop" experience, where the CEO of West Coast Customs will narrate a "exclusive inside look into the West Coast Customs shop." 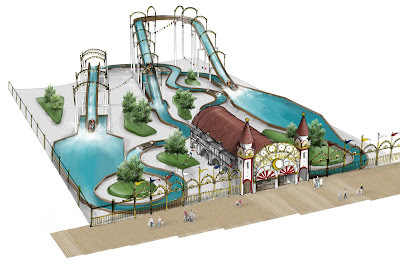 The entire layout of West Coast Racers can be seen in the concept art above. Shortly after the station the two trains will launch (the maximum speed is listed at 55 miles per hour and is probably via the second launch) into a "high-five" element where the tracks band toward each other. One will then encounter a zero-g stall over the other track, then the second launch kicks in. 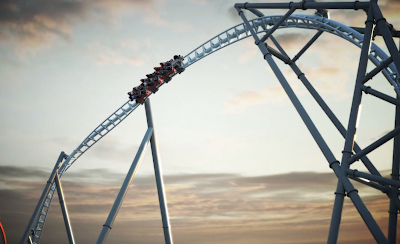 Both tracks then fly through a large zero-g roll, before a highly banked twisted figure eight. The track ends with the opposite track performing one more zero-g roll over the other, before returning to the station. 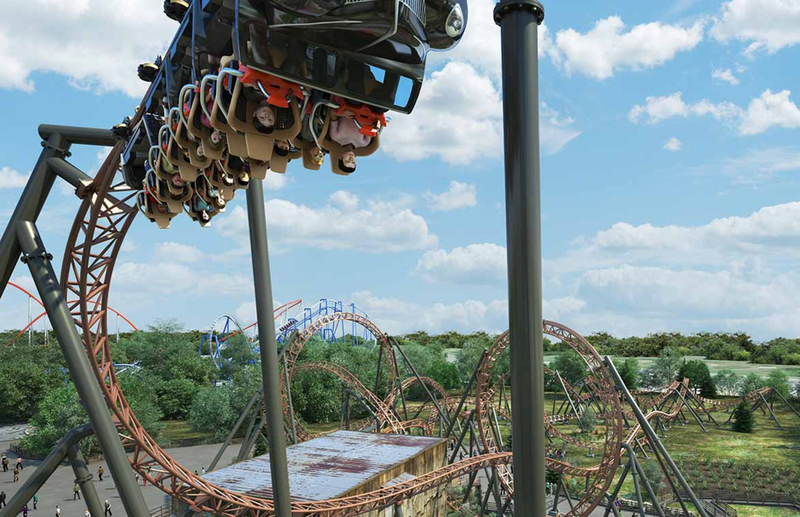 This twisted layout gives each train a total of 4 inversions, and there are a total of 14 track crossovers between the two sides in the layout. The manufacturer was not stated in the press materials, but it is believed that Premier Rides is designing West Coast Racers. 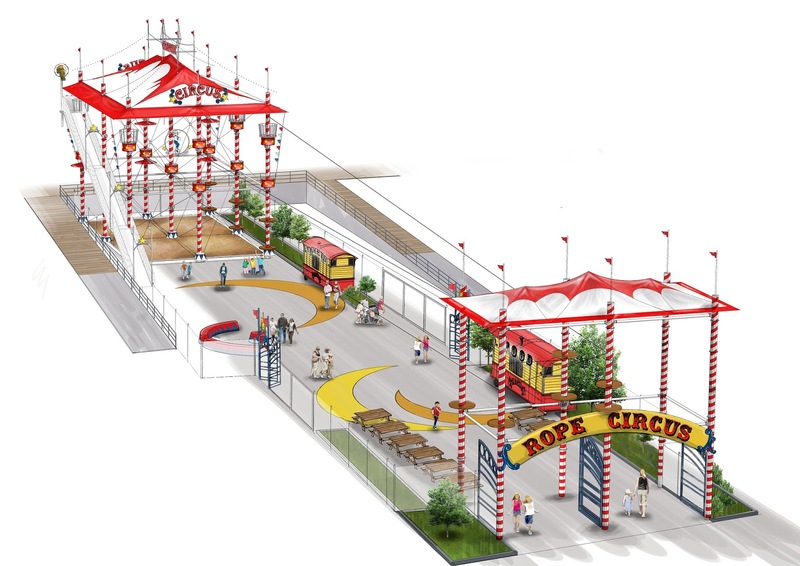 The new coaster will be located in an "LA centric urban-themed area where guests can enjoy a high-energy street vibe." 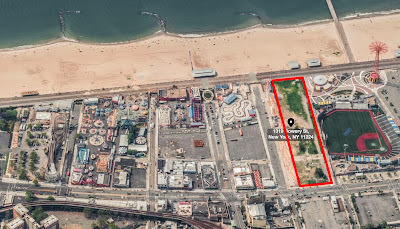 Joining this area will be Apocalypse and the park's go-karts, which will enjoy retheming. There will be new dining, games and retail locations in the area as well. Six Flags Great America will build a brand new roller coaster in 2019, named Maxx Force. The ride will break three world records according to the theme park: the fastest launch coaster in North America, the highest double inversion and fastest inversion of any roller coaster in the world. 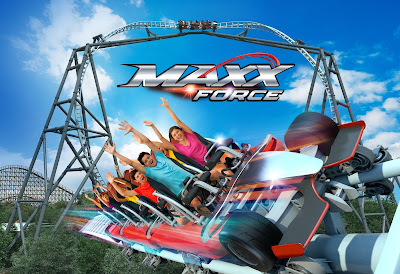 Maxx Force will be built in the Carousel Plaza area of the park, located on the land that was cleared from demolishing the Pictorium, plus some currently open space toward Raging Bull. 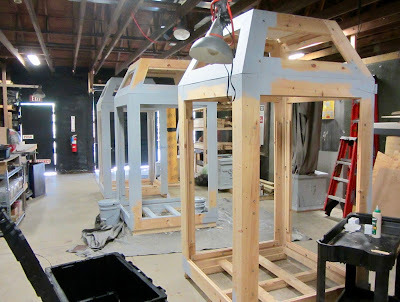 While the park's press materials do not specifically state the manufacturer, it is believe that this air-powered launch ride is being fabricated by S&S Worldwide. The trains will be custom themed to model Formula One racing cars, and of note is that in these images feature only lap bar restraints. They will be launched out of the station from zero to 78 miles per hour in just two seconds, which is an extremely strong launch. It will provide quite the sensation of speed, no doubt. Immediately after the launch the trains head into this element, which the press images label as the "dog tongue element." It features two quick inversions at the top, which is 175 feet above the ground. The trains plummet back down and head through this "corked roll" at a speed of 60 miles per hour, which the park says is the fastest speed through an inversion on the planet. 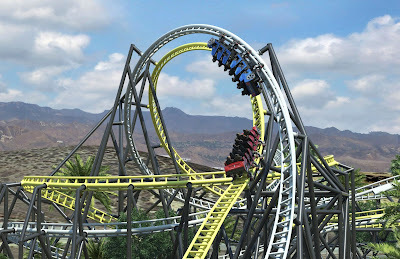 Immediately after the corked roll the train heads up into a "fakey roll," where the trains invert through 3/4 of a corkscrew, then quickly invert once more into a dive loop, followed right away by the final brakes. Six Flags Great America states that there will be a total of 5 inversions on Maxx Force. No track length or other statistics were released yet. Hooray for really tall new drop towers! One of my favorite thrills on the planet, drop towers have proven to be a popular attraction at parks across the globe, especially true for Germany's Hansa Park in 2019 when they open Highlander. Billed as the "world's tallest and fastest Gyro Drop Tower," the ride will stand 394 feet tall and feature a free fall of around 334 feet - reaching a maximum speed of 75 miles per hour on the way down. There are other drop towers that are taller, so I think the park is stressing that this will be the tallest gyro style tower, or even the tallest that the manufacturer has made. 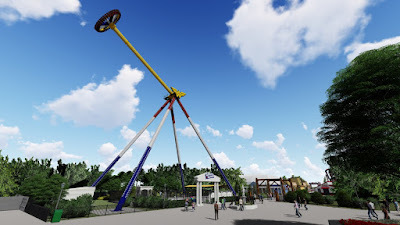 The tower will be built by Funtime, which currently offers a portable drop tower named SkyFall, but Highlander sounds like an improved and permanent version of that ride. 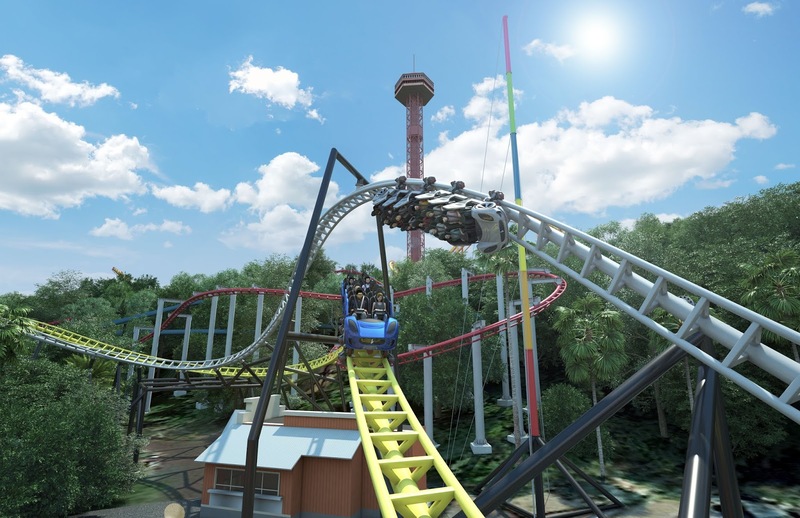 It will have 24 seats in a circle around the tower, and as an added bonus the seats will tilt downward for the drop so that riders have no choice but to look at the ground! Hansa Park released this preview video to help fans of the park get exited for the towering plunge of Highlander. The ride will be the main attraction in "Beautiful Britain," a new themed section. It will highlight the park's existing Nessie roller coaster (a classic Schwarzkopf ride) along with the famous castles of Scotland. 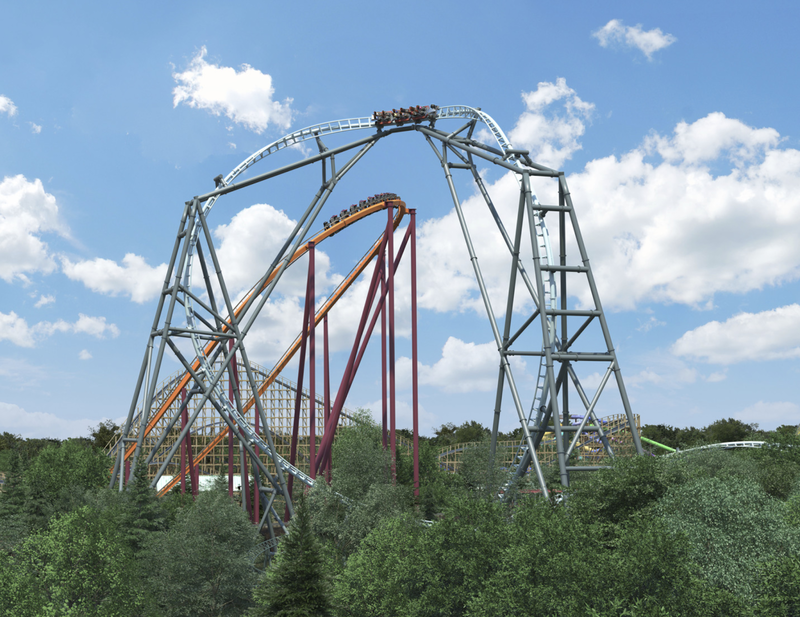 Cedar Fair has announced their plan to build a new dual-branded Hyatt hotel on the grounds of Canada's Wonderland, with construction starting in the first half of 2019 and finishing up in late 2020. 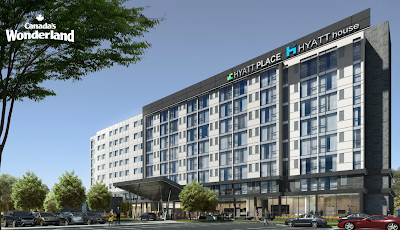 The hotel will feature both Hyatt Place and Hyatt House brands in one building, offering "203 rooms – both spacious guestrooms and apartment-style suites – in a high-tech contemporary environment." Standing eight stories tall, the hotel will reside on 16 acres of land adjacent to Ontario Highway 400, near the park's entrance. Amenities will cater to both business and leisure guests, including free wifi, an indoor pool, fitness center, coffee and cocktail bars, casual dining options, a business center, meeting and event spaces and an outdoor sun deck. Cedar Fair president and CEO Richard Zimmerman said, "The new dual-branded Hyatt Place and Hyatt House hotel will continue Cedar Fair's significant investment in Canada's Wonderland, one of the portfolio's largest and most successful parks. We expect strong attendance growth there, driven by the introduction of a new record-breaking roller coaster, Yukon Striker, and addition of an immersive holiday event, WinterFest, both launching in 2019." 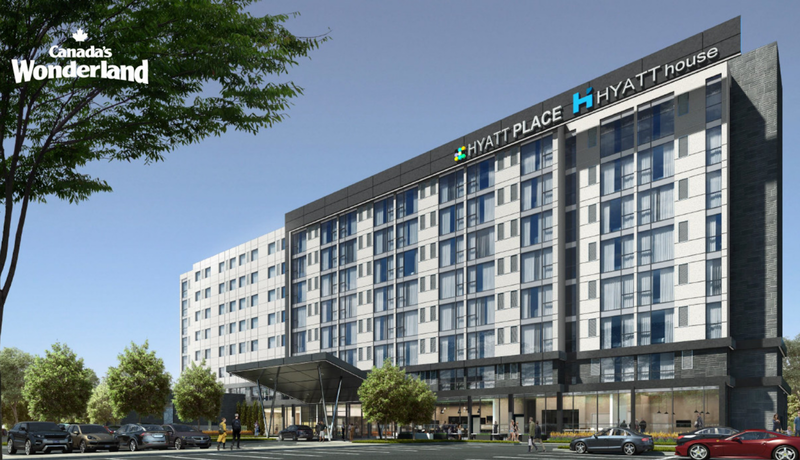 The new Hyatt hotel will be the sixth hotel in the Cedar Fair chain, including those at Cedar Point, Knott's Berry Farm and one under construction at Carowinds. 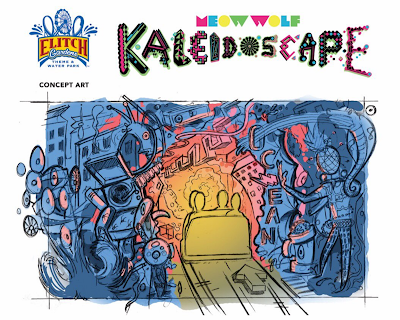 Coming to Elitch Gardens in 2019 will be Meow Wolf's Kaleidoscape, a first-of-its-kind dark ride experience created by artists from the Meow Wolf art collective. The ride, which will replace the park's current Ghost Blasters dark ride, will be totally artist-driven, giving riders a "densely immersive and fully interactive experience." For those not familiar with Meow Wolf, the art collective was founded in 2008 and is composed of more than 200 artists in every field imaginable. They are responsible for the THEA Award winning House of Eternal Return, located in Santa Fe, NM, which is an "explorable, immersive art installation filled with technology, and fantastic environments to inspire visitors of all ages. The wildly imaginative art space is a collaboration of over 100 local artists and is a unique combination of children’s museum, art gallery, jungle gym, and fantasy novel." At Elitch Gardens, Kaleidoscape will build on the group's momentum and be a truly unique experience for park visitors. As described by Elitch Gardens, riders "will be transported to other-worldly motion, deep sound, wild color and interactive moments that create an immersive world around you." The park is a perfect location for the first Meow Wolf dark ride, as the collective will open a brand new exhibit in Denver in 2020. 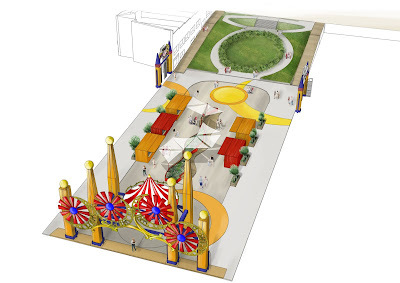 For more on the new attraction including a preview video, check out Elitch Garden's website. 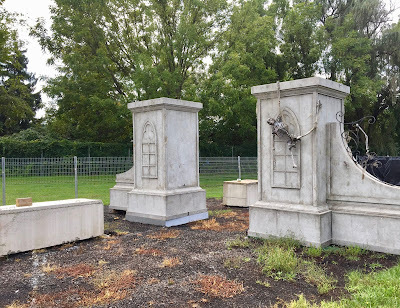 As promised, we have a special treat on NPN where we can take a look at the set up currently underway for Dorney Park's 11th Halloween Haunt, taking place this fall. The park is busy with sets and props being put in place, and while this isn't the biggest year in the event's history in terms of new attractions, there's still plenty that will be new. Kept out of public view for now, here is the set being fabricated for the park's new evening show, called the Overlord's Resurrection. 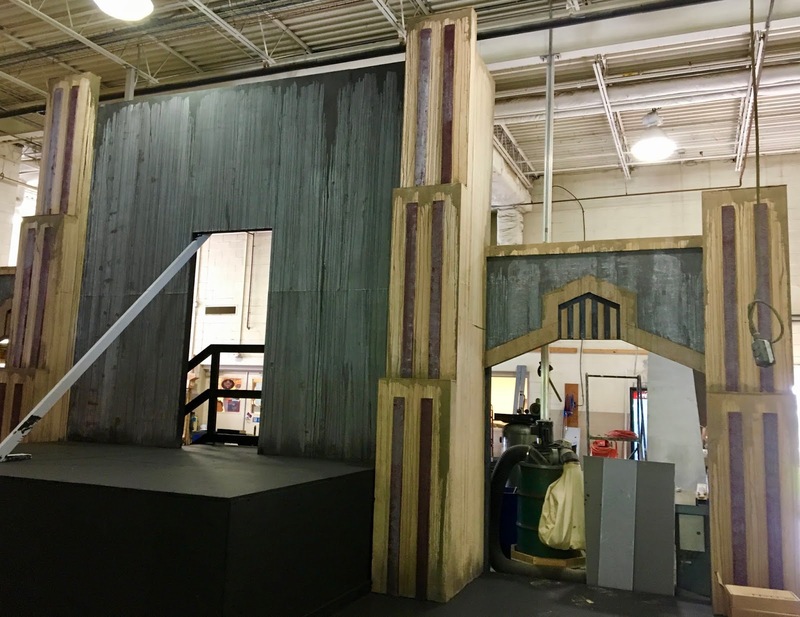 Technically the park did offer a similar show last year, but for 2018 this brand new set is being created and the show is moving to Hydra Plaza, where Skeleton Crew was the past few seasons. This view gives a bit more detail on the theme of the set, and the weathering that has been applied in creating the finished product. The point of the show is pretty obvious from the name, the idea here is to resurrect the Overlord, he who reigns over the park's hundreds of monsters. It will kick off at 7:00 pm with attractions starting to open a half hour later. 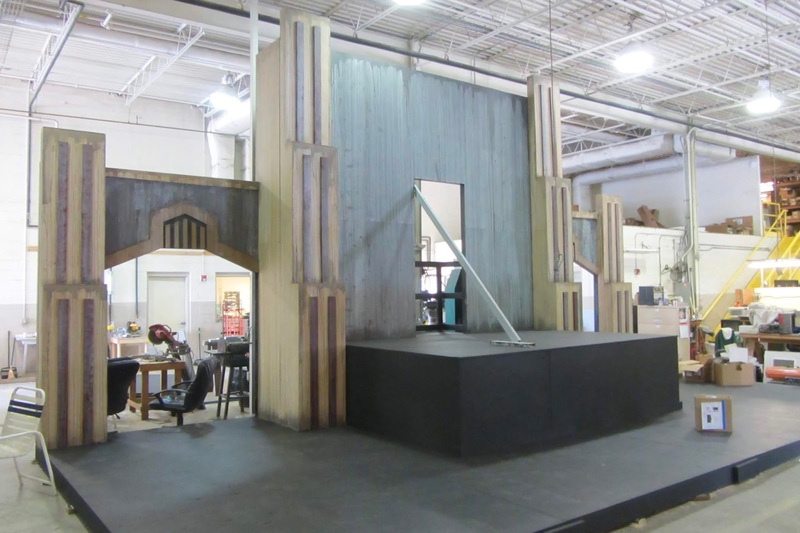 Final details of the show will wait for opening night, but it is being produced as a collaborative effort between the park and others within Cedar Fair. One thing is for sure, there will be a ton of monsters involved this year! 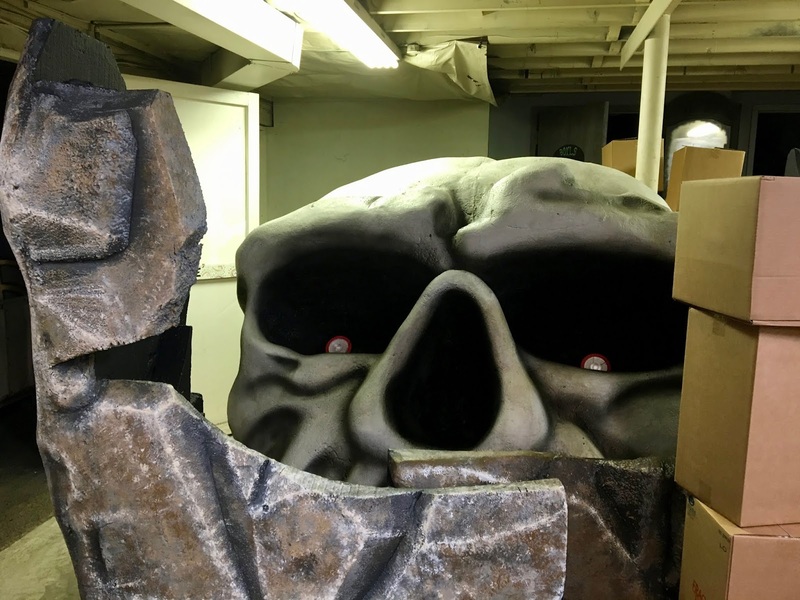 One other really cool aspect of Overlord's Resurrection will be this giant skull set piece, which the Overlord will use during the show. The skull has an interesting background, as it was originally fabricated for use in the 2018 Philadelphia's Mummers Parade. If you're not familiar with that parade, it's known for its outlandish costumes and props, and takes place on New Year's Day. 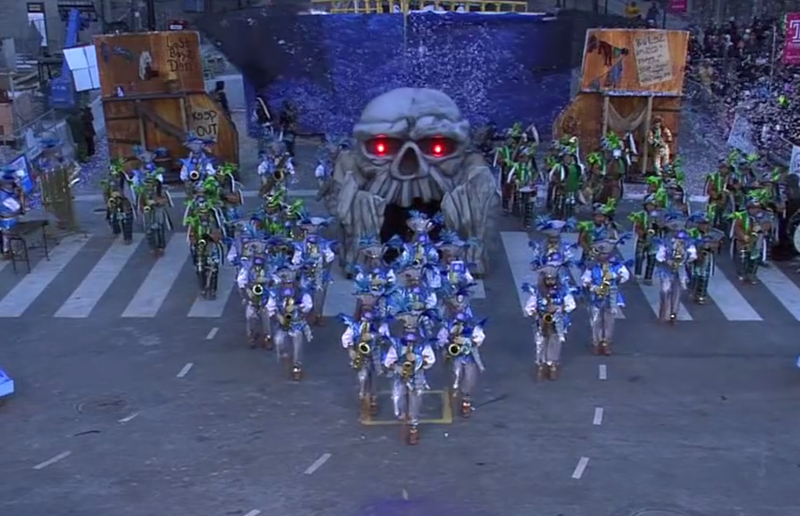 Since I am a super-geek I went and found a clip of the prop when it was in last year's parade, featured above. If you want to see more of the prop in action you can check out the video here. 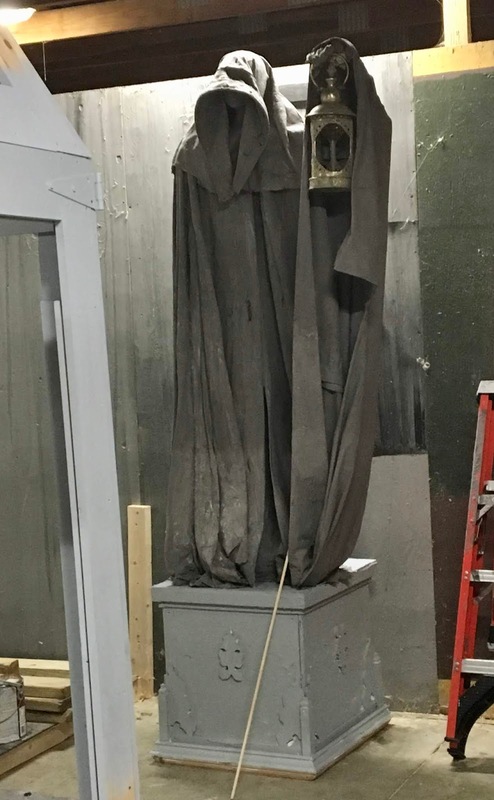 I'm looking forward to seeing it in use at The Haunt. 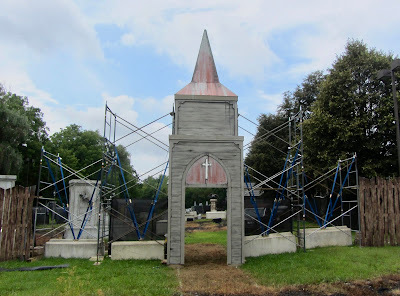 Dorney Park is also adding new decorations in the lower part of the park, specifically in the former home of Stinger. The park has ordered a ton of pumpkins of various shapes and sizes, along with some faux ones that they are carving (above). Both will be used to create what sounds like a set of beautiful displays in the open area. 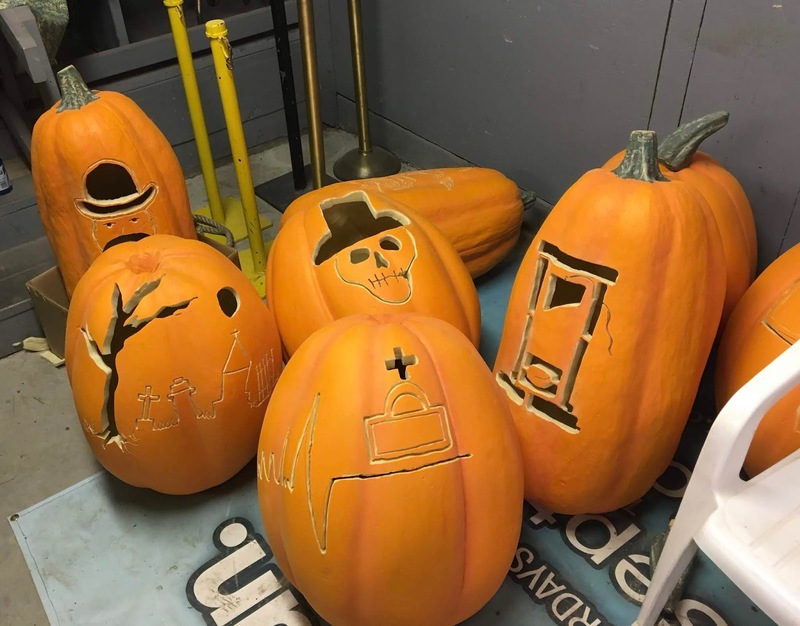 The pumpkins will be laid out on the ground to make different patterns and shapes, all fitting with the Halloween theme. It sounds similar to the displays that Cedar Point has incorporated into their Haunt, which are pretty stunning. I can't wait to see the finished product - but until then do not get excited if you see work in Stinger Field - it is just preparations for this display! It is always super cool to be in the Haunt make-up room, even when it is the middle of summer. 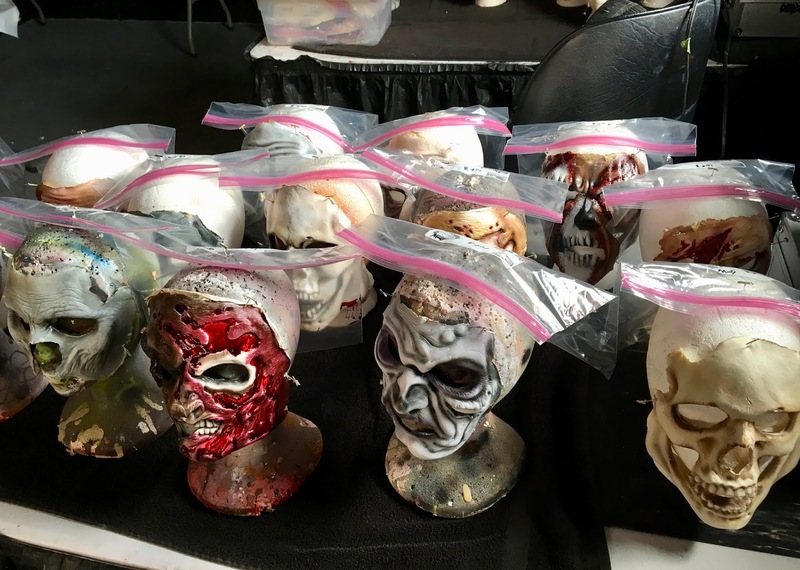 The park makes nearly all of their masks in house, and here is a selection of completed and a few works-in-progress. Pretty creepy to see them all lined up like this! While Cut Throat Island is not returning this year as a scare zone, its presence will still be found in the new Port of Call area, located along Possessed. The area is designed for those ages 21 and older, and features the giant pirate ship props that were a part of Cut Throat Island. The area will feature a DJ playing today's hits along with a few haunt characters - although this is not designed to be a scare zone. You can also see that the stage for Skeleton Crew has been moved into Port of Call, and a show will return on the stage under a new name, featuring shorter shows that repeat throughout the night, with the DJ taking over in between. Panning to the left a bit, you can see the new addition to the area in the back, which is the bar. Obviously since this area is meant to be for those 21 and over the bar will have a prominent focus in the area, something that I think will be greatly received by Haunt guests! The park will debut their third custom beer of the year for Halloween Haunt, named Haunted Hops, naturally available at Port of Call. 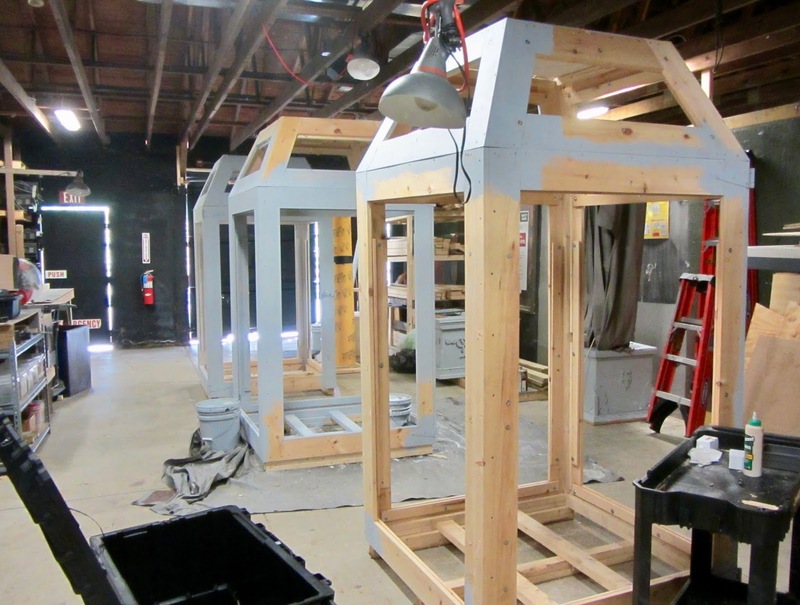 I also was able to check out the Haunt build area, where we found these new props being fabricated. They will be set out along the midway and feature lighted signs along the middle... though they are meant to also add a creepy flavor to the area. Another interesting item I look forward to seeing at the park. This new ghoul was also on display in the Haunt build shop, though I'm not sure where he will end up in the park. He looks great though! I'm glad to see a refresh of decorations and props going into the park this season. Another one of the larger changes for this year is the transformation of Grave Walkers into Necropolis. The maze will be located in the same spot, but feature an all new layout and facade, which you can see being built above. The scaffolding that is present here will be covered with more facade before the attraction opens. 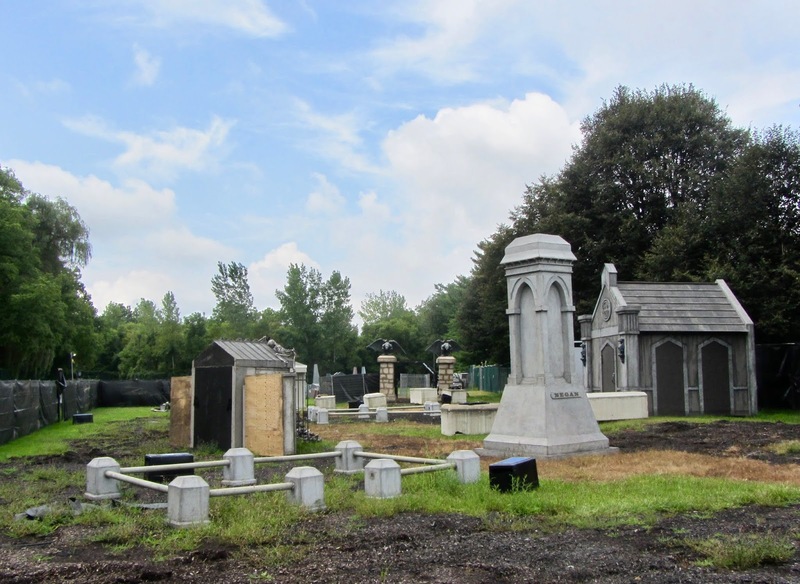 The facade is located further into the open area than the entrance to Grave Walkers way, which will allow for a queue to be set up further off the midway, helping with congestion on busy Haunt nights. This close up of the facade shows more of the detail that is going into the build. While many of the props are still being put into place, you can get a feel for the attraction's layout using the white spray paint on the ground - you can see that above if you look closely. Necropolis will feature a more linear path and will not have the large open section at the start that Grave Walkers did - a plus in my opinion as this will give many more scares. 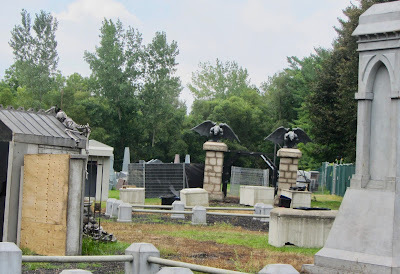 As I said, the attraction is still very much so being put together, and while it does feature a lot of the props that were used in the former scare zone, there are some new items scattered around as well - with more to come. 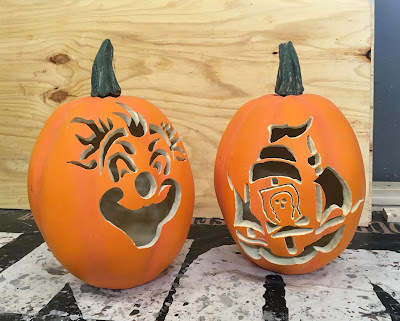 Finally, one more attraction change this year will be Trick Or Treat - Lights Out. The maze will keep the same name and overall theme, but this year visitors will carry dim flashlights and make their way through the darkness of the witch's house. 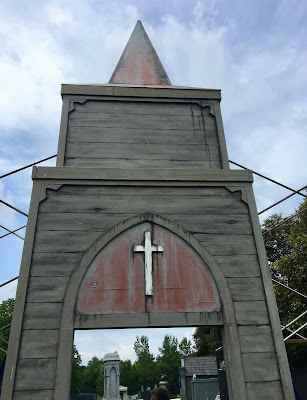 The park is adding new props and other scares throughout the haunted house to make it feel even more like a new experience - I'm really looking forward to trying it out! 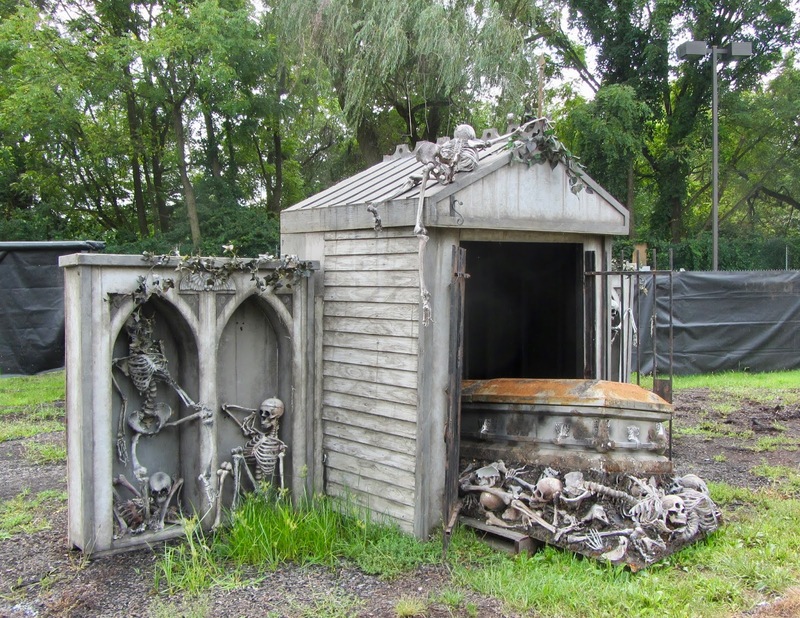 A notable change this year is the retirement of the Skeleton Key rooms at Halloween Haunt, which is actually taking place at all Cedar Fair parks. 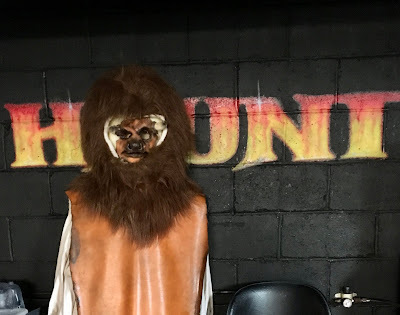 While they were a benefit to the Frightlane passes, the main draw was the ability to get into the haunted houses quickly, and that will not change. That does it for our preview look at Dorney Park's 2018 Halloween Haunt - the event starts on Friday, September 21st! Many thanks to the park for the tour and information!